THE SCORCH! GRAND OPENING W/ SPECIAL GUESTS! Scorch! 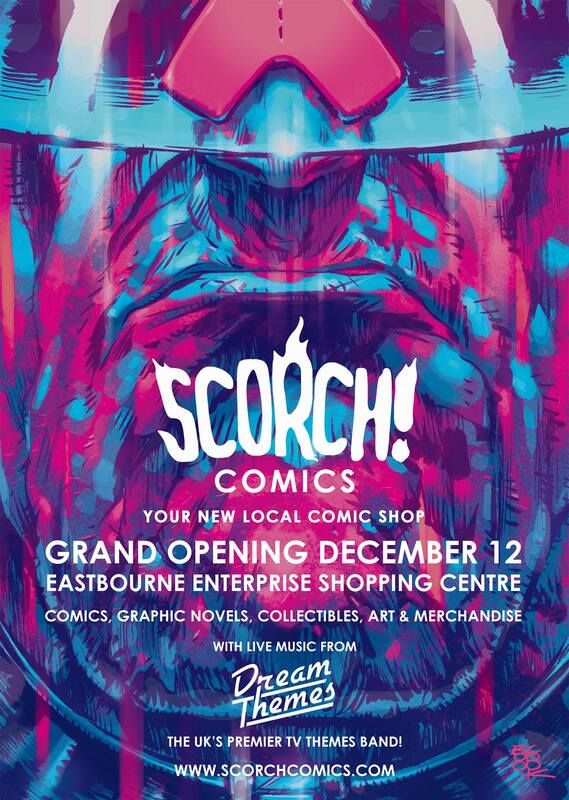 Comics, your new local comic shop is finally opening on December 12th, and what better way to celebrate than with a HUGE grand opening! 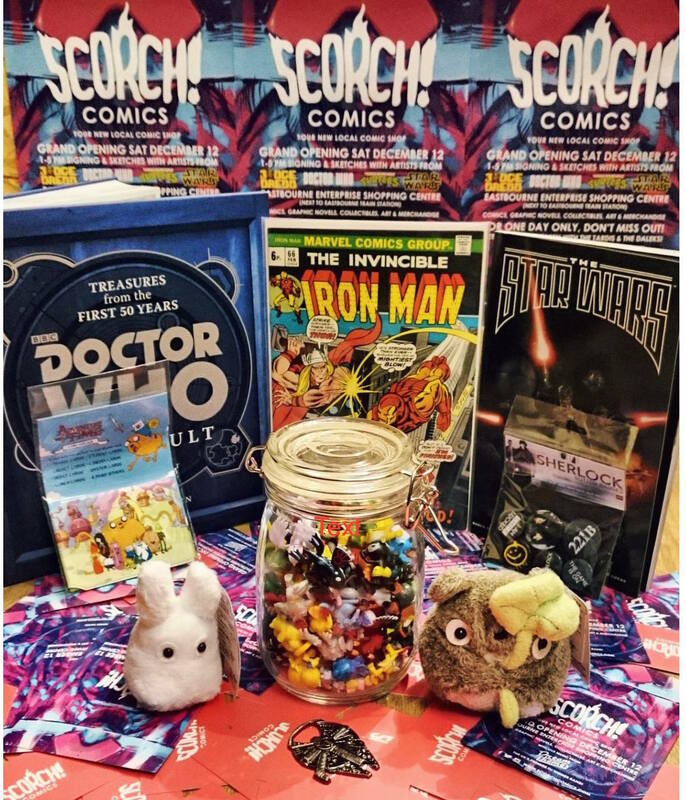 To show everyone how excited they are to bring our collection of comics to the public, Scorch! Comics thought they’d bring along some friends and make it a day to remember! They’ve got live music, performed by DREAM THEMES – Everyone’s Favourite TV Theme Covers Band! For all you cosplayers out there they’re doing a COSPLAY COMPETITION, with fantastic PRIZES to be won! 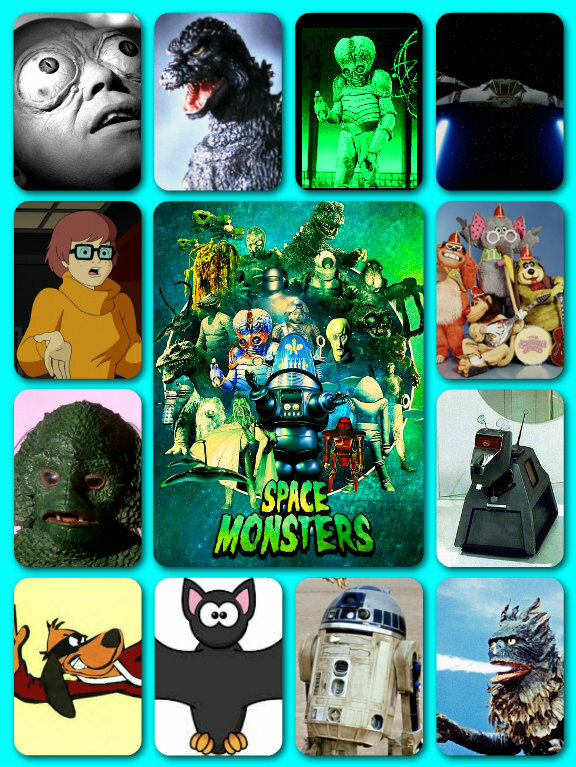 If that wasn’t enough they’ve also got a TARDIS and a DALEK! AND you’ll be able to get your PHOTO TAKEN with them for free! On top of all this, the Enterprise Centre is also having a WINTER WONDERLAND, with an old-timey fun fair, toffee apples, cotton candy & roasted chestnuts. So come on down to the GRAND OPENING, it’s free and it’ll be a laugh!